Children suffering from asthma-who are required to take Inhaled corticosteroids (ICS) to treat recurrent wheezing, have come under observation as a part of a new study. 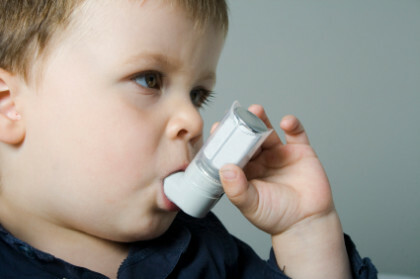 Such children, who are on asthma medications during the first two years of life, are likely to be stunted later on. As a part of the study, the initial analysis was done on 12,482 Finnish children, aged up to 24 months. Taking into consideration the height, weight and asthma medicine of these children, the study concluded that children who used inhaled corticosteroids during the first two years of life were too short for their age. This result was more evident in children taking the asthma medicine budesonide for more than six months, the study said. “Our research shows a link between long-term treatment of ICS during infancy and stunted growth at or after the age of two in otherwise healthy children,” said lead researcher Antti Saari from University of Eastern Finland. The group will next focus on assessing the impact of inhaled corticosteroids on growth in older children and observe them for longer time periods. “According to our research, we could only assess the impact of inhaled corticosteroids on growth in infancy until 2 to 3 years of age. The longitudinal impact of these medications is not clear and we would therefore like to investigate this further,” Saari said. The study was presented at the 54th annual meeting of European Society for Paediatric Endocrinology Meeting in Barcelona, Spain.